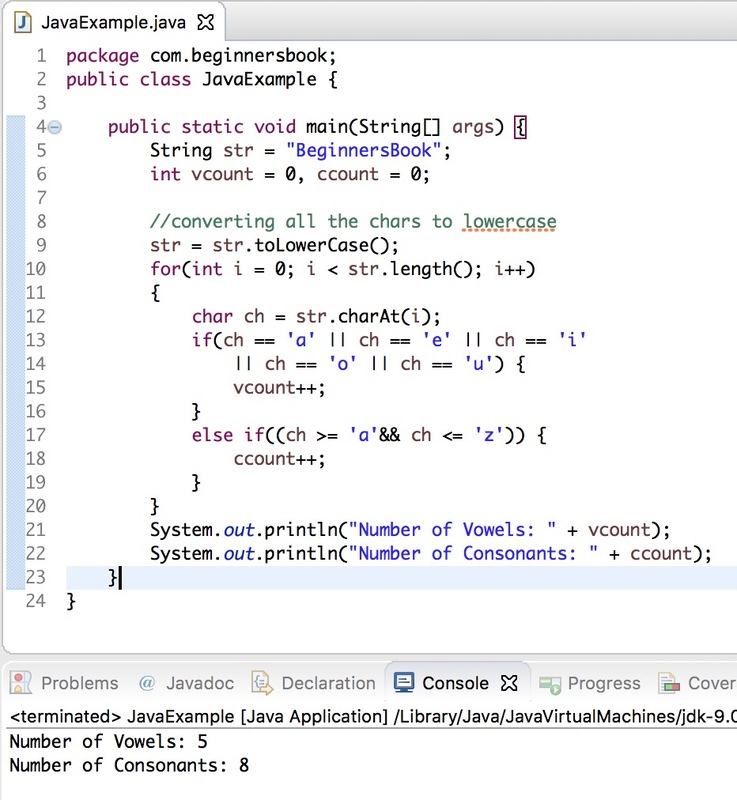 In this article, we will write a Java program to count the vowels and consonants in a String. Here we have two variables vcount and ccount to keep the count of vowels and consonants respectively. We have converted each char of the string to lowercase using toLowerCase() method for easy comparison. We are then comparing each char of the string to vowels ‘a’, ‘e’, ‘i’, ‘o’, ‘u’ using charAt() method and if..else..if statement, if a match is found then we are increasing the vowel counter vcount else we are increasing the Consonant counter ccount.